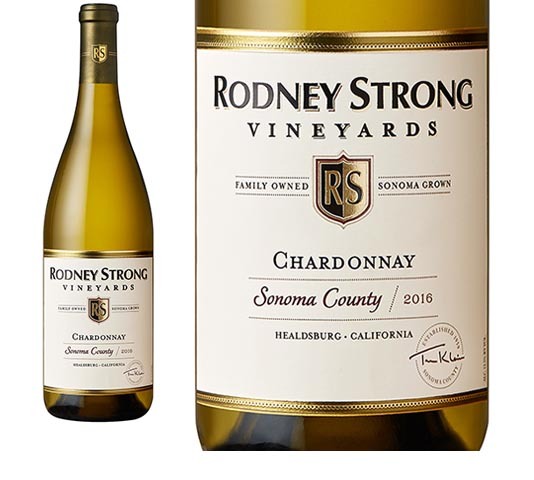 There is a lot of inexpensive California Chardonnay on the market, but Rodney Strong Vineyards distinguishes itself by producing one of the best affordable wines that don’t hit you over the head with strong flavors of butter and vanilla, characteristics that make you want to forego a second glass. This is a very smooth-drinking white wine that’s good by itself for sipping or with a wide variety of foods. It’s widely available and often goes on sale for less than $10. Much of the focus of Rodney Strong is on higher-end wines, but winemaker Justin Seidenfeld seems to put as much attention to detail into this approachable Chardonnay as he does into his more expensive wines. That makes this wine a real bargain and a good thing for wine-lovers whose budget can’t accommodate Rodney Strong’s $40 Reserve Chardonnay. The winery, which produces about 930,000 cases annually, is the 20th largest U.S. wine company with 1,400 acres of estate vineyards. There are many fine wineries in California, but few manage to project such quality across so many price tiers, scoring consistently well in tastings, according to a Wine Enthusiast magazine article that recognized Rodney Strong as its 2013 American winery of the year. Rodney Strong was a real person, a ballet dancer turned pioneering winemaker. He was a leader in transforming Sonoma County’s reputation from a rustic farming area to a prime wine grape-growing region. He also was an early advocate for making wines from single vineyards rather than blending grapes from many sources, a 2006 obituary in The New York Times says. Strong was born in 1927 in Camas, Wash. His first love was dance, and by 15, he was practicing five hours a day under the tutelage of dance masters Martha Graham and George Balanchine at the American School of Ballet, the company’s website says. He had a successful career in New York and spent four years dancing in Paris, where he acquired a love for French food and wine, a passion that would lead him to a second career. He returned to New York in 1951, danced and taught until he retired in 1959 at age 32. “I knew I couldn’t be an old dancer, but I could be an old winemaker,” Strong said in numerous articles. That same year, he and his dance partner, Charlotte Ann Winson, were married, and they purchased a century-old boarding house in Northern California. They started making wines in the basement, mostly buying bulk wines, blending and bottling them under their Windsor Vineyards label. In 1962, they purchased a 1900s winery and 159 acres of mixed grapes in Windsor in Sonoma County, and he began making wine, taking courses and learning the craft. In 1965, he replanted his vineyard in Chardonnay vines in what would later become the acclaimed Chalk Hill region. Things went well for a time. He acquired more acreage, built a modern winery and hired award-winning winemaker Rick Sayre. He also got to know Tom Klein, who worked as a management consultant, evaluating Rodney Strong Vineyards. During the 1980s, Strong’s finances were up and down, and he eventually lost control of the business. In 1989, Klein bought Rodney Strong Vineyards from beverage giant Guinness and re-established the business as family-owned. Strong stayed on as a consultant until 2006, when he died at 78 from complications from a stroke. Klein is still the proprietor and has continued to purchase the latest technology and equipment. He has made all of the operations certified sustainable and the winery carbon neutral. Sayre also remained to oversee the wine production, recently passing the lead winemaking role to Seidenfeld. To make the Sonoma County Chardonnay, Seidenfeld uses grapes picked from late August to early October from the Russian River, Dry Creek and Sonoma Coast regions, the tasting notes say. Sixty percent of the grapes are oak-barrel fermented for six months, which gives the wine slight spice and vanilla flavors. The remainder is cold fermented to maintain fresh fruit flavors. The result is a creamy wine with a smooth well-balanced finish. This is an excellent wine for a bargain price, produced by a winery that seems to be doing everything right. Check it out.